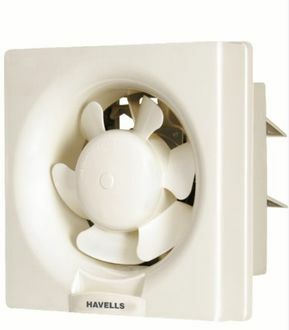 Havells is a domestic and industrial electrical appliance maker based in India. Their range of products includes lights, wires, plugs, and fans. 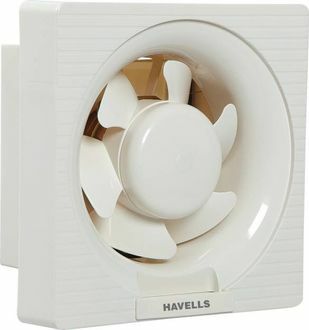 23 Havells Exhaust Fans have been presented in this Havells exhaust fans price list along with images and information such as, number of blades and, offline and online sellers. 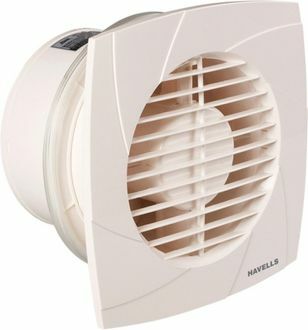 Each Havells exhaust fan is listed at its best price that is reviewed every day. 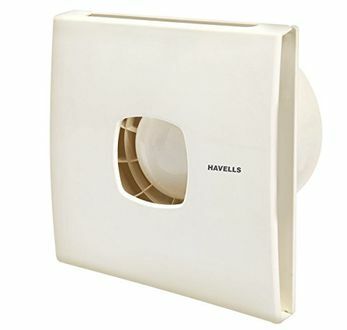 Havells exhaust fan prices were last reviewed on 25th April 2019. Exhaust fans are electrical appliances that improve the quality of air in a room by removing heat and moisture. An exhaust fan can prevent the growth of harmful mold and warmth that fog mirrors. This would save homeowners the cost of removing the mold and constantly having to wipe mirrors clean. 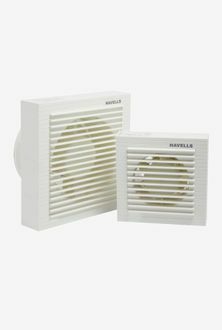 Exhaust fans can also remove odors and allow fresh air to fill up a room. Consider these points to buy a pedestal fan online in India. 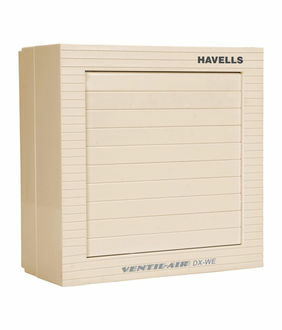 Determine the size of the room in which the exhaust fan is to be fitted. A small bathroom will require a smaller fan while a larger room requires a large exhaust fan. Also, consider the location of the exhaust fan. Installing an exhaust fan closer to the shower is an effective way of removing warmth and moisture. 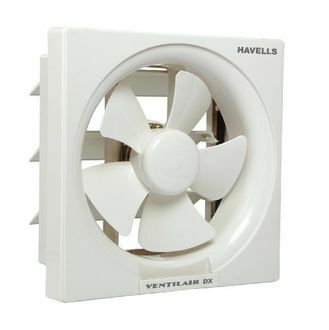 You could also choose a fan with 3, 4, 5 or 6 blades depending on your requirements.